CDC: Flint water crisis "entirely preventable"
Analysis of blood samples from young children from Flint, Michigan, shows they had much more lead in their blood after the city began using local drinking water in an effort to cut costs, a new U.S. government study reveals. A series of blood samples showed kids younger than 6 were nearly 50 percent more likely to have elevated blood lead levels when the city used the Flint River for drinking water instead of the Detroit water system, researchers from the U.S. Centers for Disease Control and Prevention concluded. The percentage of kids with high lead content returned to previous levels once the city switched back to the Detroit system. The reason for the lead contamination? Inappropriate corrosion control measures, investigators said. "This crisis was entirely preventable, and a startling reminder of the critical need to eliminate all sources of lead from our children's environment," Patrick Breysse, director of CDC's National Center for Environmental Health, said in an agency news release. Even low levels of lead in children's blood can affect intelligence, ability to pay attention and academic achievement, the agency noted. The blood lead level of concern is 5 or more micrograms of lead per deciliter of blood. During the period that the Flint River water was used (April 25, 2014 to Oct. 15, 2015), lead levels in local tap water increased over time, as did lead content in children's blood, the CDC said. The CDC has advised that all children under age 6 in Flint have their blood tested for lead by a health care provider. According to Dr. Nicole Lurie, U.S. Department of Health and Human Services' Assistant Secretary for Preparedness and Response, "Parents and teachers can do a lot to help children grow up healthy and strong, even if they were exposed to lead." She said the city's children are getting developmental assessments and needed services. "We have also expanded Medicaid and strongly urge parents to enroll their children and schedule appointments for them to be seen by a health provider, who can follow their health as they grow and develop," Lurie said. Taking advantage of healthy-foods programs and enrolling kids in programs that stimulate their brains such as Head Start are also important, she added. 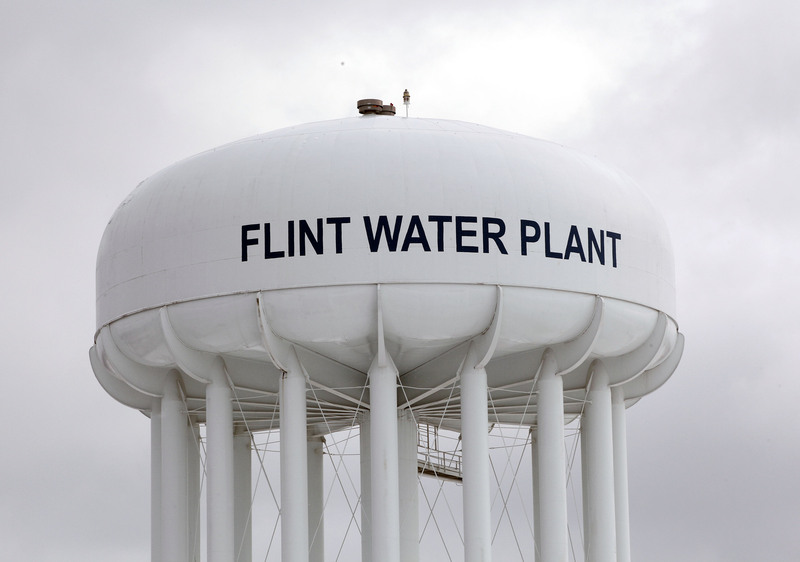 The Flint crisis has raised concerns about the potential for lead contamination nationwide. Public health experts advise blood-lead testing for children living at or below the poverty level and kids enrolled in Medicaid, the government funded insurance program for the poor. The CDC generally recommends testing at age 1 or 2 years. In Flint, residents have been advised to use filtered water for drinking, brushing their teeth and cooking. "It's very important that Flint residents use lead-certified water filters, which are carefully installed on their faucets," said Dr. Robert Glatter, emergency physician at Lenox Hill Hospital in New York City. "It should be pointed out that regular household tap water can be used for showering and bathing since lead is not absorbed through the skin. But it's still so important that parents guard against young children drinking water from the bath," he explained. "Often there are no obvious symptoms early on after lead exposure," Glatter said, noting it can take years to show up as behavioral issues, learning disabilities and poor school performance. "Some children may also develop chronic abdominal pain and constipation," he added. CDC officials said the study can't prove that the Flint River water directly caused the blood lead elevation. They cited limitations, such as not knowing about lead paint exposure in the children's homes or whether greater use of bottled water contributed to the decline in lead levels. Still, this crisis shows "we must continue to screen all children who are at risk for lead exposure -- even in the absence of obvious symptoms," Glatter said.